Greenport bed and breakfast travel guide for romantic, historic and adventure b&b's. 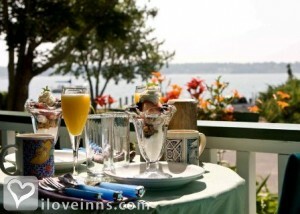 Browse through the iLoveInns.com database of Greenport, New York bed and breakfasts and country inns to find detailed listings that include room rates, special deals and area activities. You can click on the 'check rates and availability' button to contact the innkeeper. This waterfront gem is the centerpiece Village of Long Island Wine Country. Easily reachable from Manhattan, Greenport Village's maritime flavor is a wonderful getaway for the a weary New Yorker, or for our foreign friends who want to experience a throwback to American life in a splendid seaport setting. Architectural walking tours are popular and might highlight the area's Art Deco movie theater, an antique carrousel or restored jailhouse. Greenport's restaurants often feature Long Island wines. There are dances in the park, and summer theater including Shakespeare in the Park. By Stirling House Bed & Breakfast.